Martyred at age 39, Bonhoeffer's life and thought continues to influence Christian theology and life. Now in paperbook for the 50th anniversary of the authors death. 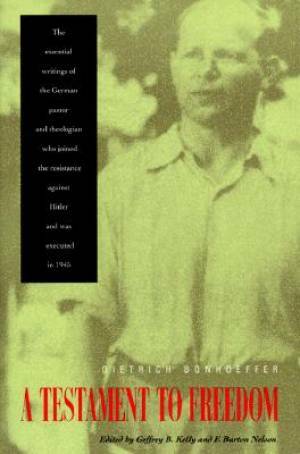 A Testament to Freedom by Dietrich Bonhoeffer was published by HarperCollins in February 2007 and is our 39663rd best seller. The ISBN for A Testament to Freedom is 9780060642143. Be the first to review A Testament to Freedom! Got a question? No problem! Just click here to ask us about A Testament to Freedom.